The multibillion-dollar company hired to build a citywide surveillance system also has a record of supplying weapons and training to anti-democratic governments around the world. 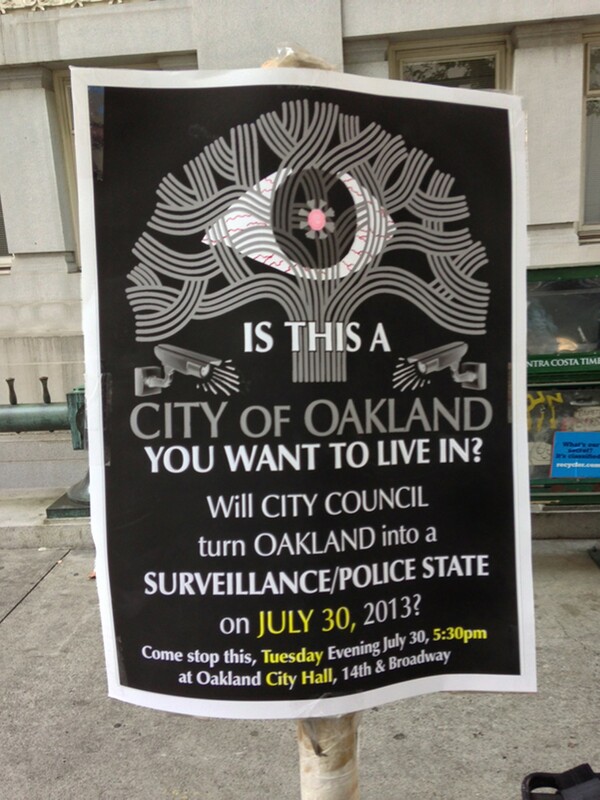 The council's decision to create a citywide surveillance center has prompted heated criticism. 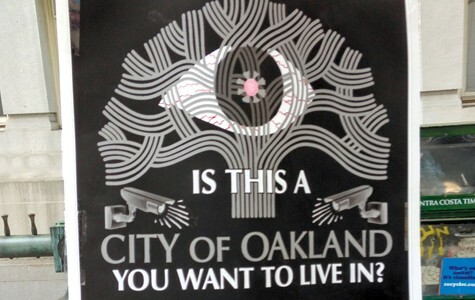 Last month, the Oakland City Council approved a controversial $2 million deal to continue construction on the Domain Awareness Center (DAC) — a surveillance hub for the Port of Oakland that has mushroomed into a citywide system. Civil libertarians and numerous Oakland residents oppose the DAC, especially its breadth, contending that it will infringe on people's privacy rights and could be used to target political protesters. But councilmembers claim that Oakland needs the system to reduce crime, and that it would be irresponsible not to take advantage of the federal funds that are paying for DAC. And now, at least one high-ranking city official is saying the DAC could be used to control political demonstrations. 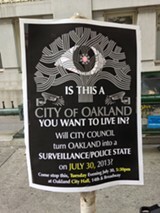 Citing more than thirty protests in recent years, Renee Domingo, Oakland's director of Emergency Services, wrote in an industry publication earlier this month that "Oakland's long history of civil discourse and protest adds to the need" for the surveillance center. But Oakland's massive surveillance project is also controversial because the influential defense contractor selected to build it — Science Applications International Corporation (SAIC) — has a long, troubling track record. In recent years, SAIC has been accused of defrauding municipal governments, bribing foreign officials, and delivering shoddy products. And when the company does deliver the goods at cost and on time, it's often for militarized projects linked to human rights abuses. Among SAIC's recent contracts: training the Egyptian military, operating drones used to kill foreign citizens, building and operating portions of the NSA's internet spying system used on Americans, and more. SAIC is one of the titans of the military and intelligence industries, dubbed "Washington's $8 Billion Shadow" by Vanity Fair investigative reporters Don Bartlett and James Steele (the company has a $5.3 billion market capitalization today). Founded in 1969 by John Robert Beyster — the former head of the particle accelerator physics department of General Atomics, another major weapons manufacturing company — SAIC was based in San Diego until 2007. The company moved its headquarters to Reston, Virginia during the George W. Bush administration to be closer to its two biggest clients: the Pentagon and the rapidly growing Department of Homeland Security. SAIC has received $36 billion in federal contracts since 2001, with $23 billion, or 63 percent of this total, coming from the US military. 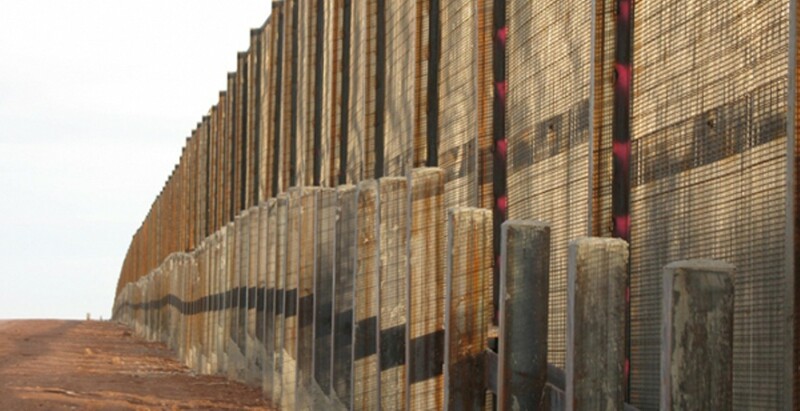 Several of the company's executives also have been awarded high-level government jobs in the past decade. SAIC is "the classic revolving-door company," said Tim Shorrock, author of Spies for Hire: The Secret World of Intelligence Outsourcing, and one of the nation's leading experts on defense and intelligence contractors such as SAIC. "It's an old-boy network and that's how they keep going," Shorrock said of SAIC's ability to continue winning lucrative government contracts despite multiple serious allegations — and admissions — of fraud. "They use their influence to cut a deal." Oakland's decision to pay SAIC $2 million to work on DAC also could help fuel the growth of such surveillance systems nationwide. "Once you start welcoming in these large contractors, you create a lobbying interest for these programs," said Bruce Schneier, a privacy expert who has been critical of outsourcing. Lobbying interests, Schneier added, "distort democracy," because they generate self-serving rationales to keep ineffective programs going. Although contracting directly with cities is not SAIC's biggest line of business, the company made headlines last decade when it defrauded New York City of hundreds of millions of dollars. In the late 1990s, New York began a program to transition tens of thousands of municipal employees from paper punch cards to digital palm scanners, ostensibly to counter fraud. Dubbed CityTime, the project's initial budget was $68 million. But after SAIC acquired the company that had won the competitive bidding process for the work, CityTime's cost mushroomed to more than $740 million in ten years. The city official responsible for overseeing CityTime had once worked for a SAIC subcontractor, and yet was allowed to stay on the project by the city's Conflict of Interest Board. Probes by the New York City Department of Investigation and US Attorney for the Southern District of New York revealed that SAIC employees had set up an intricate network of cost inflation and kickbacks. Letitia James, a city councilwoman from Brooklyn, recalled chairing budget committee hearings about the program. SAIC's contract, said James, "kept getting renewed without any competition or oversight," a byproduct of the cozy relations maintained by many employees of SAIC and their subcontractors, who had worked previously for the city. The city's controversial surveillance center is an expensive boondoggle that could trample on our constitutional rights.